Probably all of us would agree that technology is an amazing thing, without it we wouldn't have some of the things that we enjoy the most. But when does too much technology become detrimental? Everywhere you look kids are playing on phones, iPads, computers, watching tv, etc. My 3 year old can easily navigate my iPhone 6, something that I don't think is too uncommon anymore. Not only kids, but what about us as adults? How often are we glued to the tv or glued to our phones? How many times do our children have to say our names before we look up? How many times do they have to tug on our shirt? And what does that teach our children about their importance; if mommy and daddy are so busy looking at their screens that they have to do something drastic to get our attention? It tells them that whatever game we are playing, whatever we are looking at on Facebook, whatever text we are sending; is more important than them. Now I'm not trying to be dramatic; I dont see anything wrong with any of the above mentioned devices, IF they are used in moderation and they don't interfere with things that are most important. How many times have you been to lunch with someone and they check their phone every 5 minutes? I've been guilty of being that person. Or going to a movie and your friend can't stay off their phone? Does that make you feel like your time with them is valuable? No, probably not. 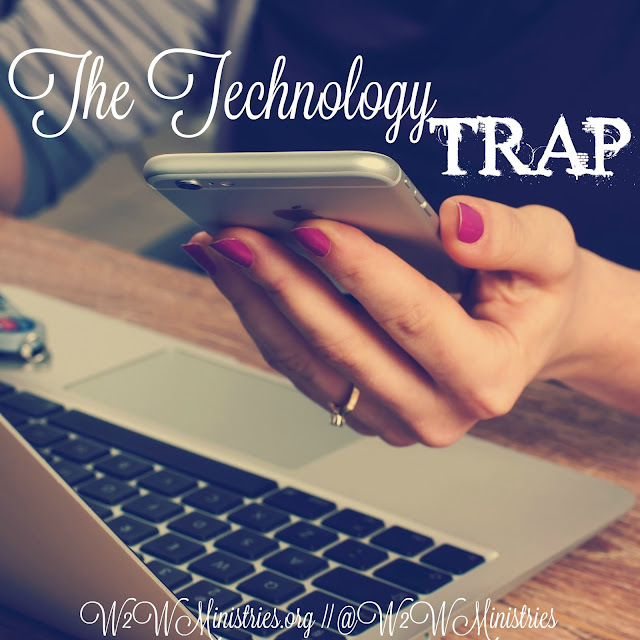 I cringe to think about the numerous times I have unconsciously made my children, husband and friends feel that way because I was too consumed in the latest Facebook postings or my favorite tv show. In a world so consumed by the latest technology and gadgets, we often get lost in the entertainment of it all and forget the most important things are passing us by. Our kids grow way too fast. My oldest daughter is a sophomore in high school; I'm still not sure when that happened? I still remember her as a little baby and her sweet toddler years; now my time with her is shorter than I care to accept, bringing me to tears almost any time it is mentioned. Let's stop letting technology take the place of spending time with our families, our children, our friends. Let's give people our undivided attention. Put the phone away. Turn the tv off. Have a family game night, load the kids up and drive around and look at Christmas lights then come home and make hot chocolate, bake together, dance together; get goofy and laugh together! As much as I appreciate technology; my phone, social media, etc....none of it can hold a candle to spending time together as a family. So how about it? Try leaving your phone in a different room of the house during family night. Have a "no phone" time for a few hours in the evenings. Your children are a gift. Your friends are a gift. Let's treat them as such.